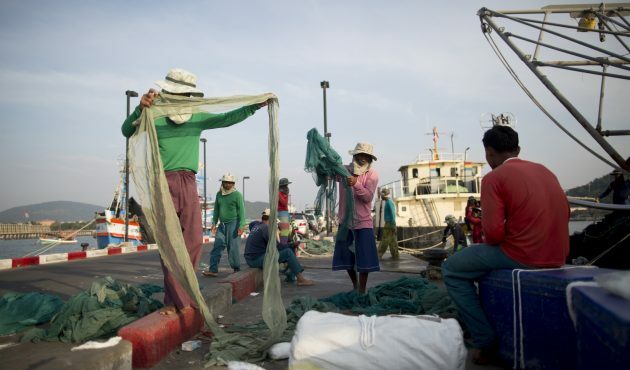 Human rights abuses such as forced labour and human trafficking continue to plague the Thai fishing industry, whose workforce is largely made of marginalised migrant workers from Myanmar, Cambodia and Laos. The Freedom Fund’s Thailand hotspot aims to reduce slavery in this industry, where poor working conditions and fraudulent recruitment processes place vulnerable migrants into abusive situations. Supported by the Freedom Fund, a partnership of Thai and migrant-led NGOs is helping to increase migrants’ access to quality services, from rescue and shelter to legal support and reintegration. One of our partners, MAP, is organising migrant outreach activities related to worker education, legal advice, social services and targeted advocacy. In particular, MAP has successfully training migrant worker leaders as paralegals who assist other migrant workers. The paralegals provide basic legal counselling on labour and migration matters and identify which workers’ cases can be filed with Thailand’s Labour Protection Office. A factory employing a majority of migrant workers in Mae Sot refused to raise wages in accordance with the minimum wage. Building on MAP networks, workers came together to file a complaint to the factory’s owner. Subsequent negotiations with the owner resulted in the owner closing the factory, which further disadvantaged the migrant workers. In November of 2017 a complaint was filed with the Labour Protection Office with MAP assistance, and in January of 2018 the factory owner as well as the main buyer from the factory based in Bangkok, were ordered by the Labour Protection Office to pay workers 25 million baht ($766,469 USD). MAP Foundation outreach workers have since learnt that three factories in the vicinity raised the wages of their workers at the workers’ request, leading MAP to believe that the original case is well known in the area and set a standard for improved wages of migrant workers. This is a good example of the collective action of workers resulting in improved working conditions, directly reducing vulnerability to forced labour or other forms of severe labour exploitation. The Freedom Fund’s Thailand hotspot aims to significantly reduce slavery in the Thai seafood industry. Learn more.